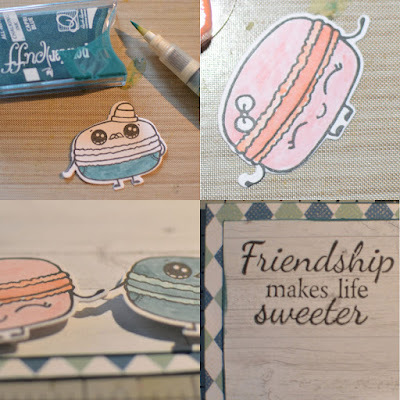 Blog Quick Quotes: Friendship Makes Life Sweeter with Louise! Friendship Makes Life Sweeter with Louise! Hello Quick Quotes readers, Louise here with a quick card I made using the Spring Showers Paper Pack and PowderPuff Chalk Inks. 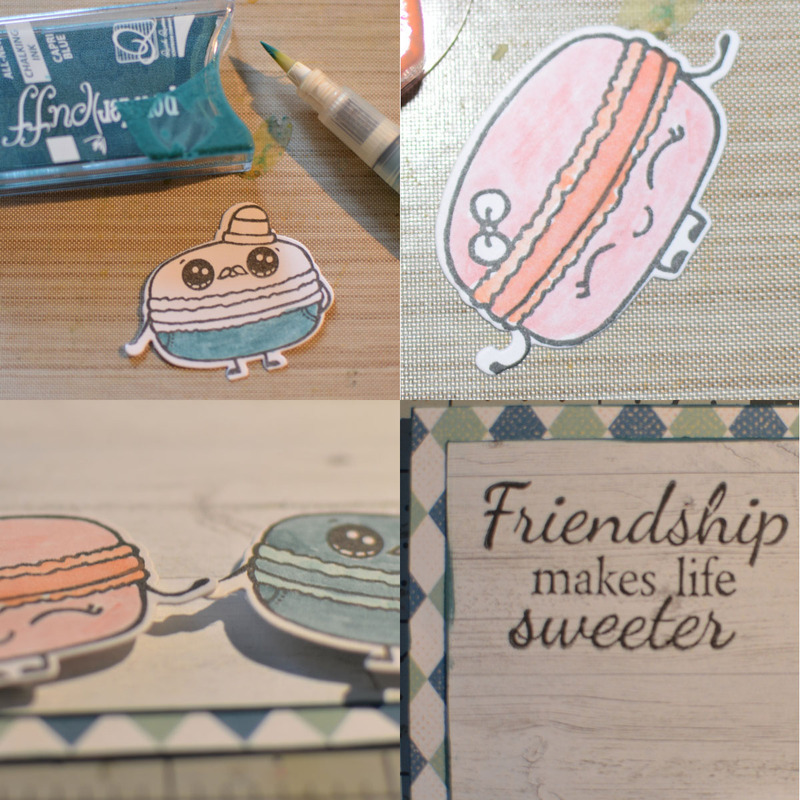 I had fun coloring the "macaron people" with PowderPuff Chalk inks and a waterbrush. Using a water brush with chalk inks is a very simple way to get the look of watercolors without the mess. I use the cover of each inkpad as a pallet for that color as shown in the photo below. When I am done with my project, I am able to wipe the ink off using a rag. The "male macaron" is colored with PowderPuff Chalk Ink in Capri Blue and Key Largo, while the female is colored with Island Orange and Tropical Punch. Both of them have an accessory (hat, bow) which I colored in Sandy Shore, and of course the mustache is colored with Midnight Confession. Before assembling the card, I inked the edges of the papers with PowderPuff Chalk Ink in Capri Blue. I adhered the "macaron people" on raised foam such that they appear to be holding hands. I hope I've inspired you to use your stamps with PowderPuff Chalk Inks and a waterbrush to create a fun and easy card.